Neshat's PhD thesis is "Reconsidering the role of the derivative claim as a mechanism of protecting shareholders in England". PhD Title: Reconsidering the role of the derivative claim as a mechanism of protecting shareholders in England. A comparative study with the United States and New Zealand. Neshat started her PhD on February 2013. Her research is focusing on the role of the derivative claim in England and on evaluating if the role of the derivative claim as a mechanism of protecting shareholders needs to be reconsidered in the English legal system. 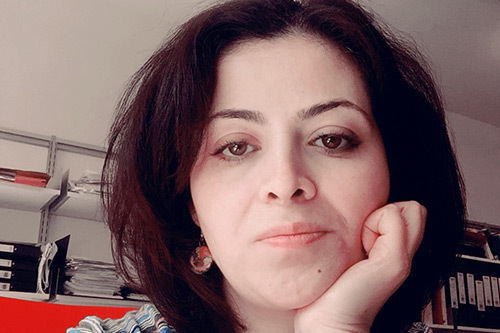 Neshat's thesis is in the field of comparative company law and involves a comparative study between the law governing the derivative claim in England with that operating within the United States and New Zealand. She explores the reasons for unpopularity of derivative claims in England and examines whether the United States and New Zealand approaches toward the role of the derivative claim would be appropriate and advisable in the English legal system. Neshat completed an LLM in International Commercial Law at City University London in 2012. Before joining City, she working as a legal expert and advisor in the Tehran Stock Market from 2004 to 2011. She was a member of Board and legal advisor in Bahar Dalahoo Dairy Company from 2007-2011. Presentation: ‘’The Doing Business Indicator in Minority Investors Protection. A Critical Analyzing’’, presented in the International Conference on Trade, Business, Economics and Law 2014, in London. Neshat has also presented in several PhD seminars at City University London. Neshat was a graduate teaching assistant in contract law during 2014-2015 academic year.